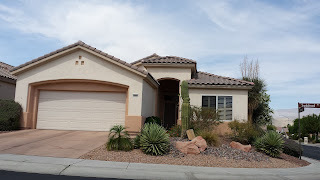 Sun City Palm Desert Home Sold –78-848 Sandalwood A Lovely 2 Bed 2 bath home Plus Den located in Sun City. With all the amenities and lifestyle choices this great Del Webb Community offers. From Multiple Club Houses to activities galore. When you buy a home in Sun City you are getting much more than just home! This remarkable home featured a private yard, a Den with murphy bed, separate laundry room, two car garage and tiled floors. Plantation shutters, granite and ceiling fans added a wonderful touch. Sold at $294,000. 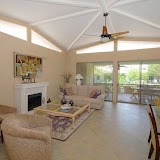 Come find your home at Sun City in Palm Desert CA Search all available properties here. A large gated community located just north of the I-10 in Palm Desert on Washington Street. This was the original Sun City Development in Coachella Valley and many still condsier it to be the best. With over 4,000 homes and some 35 plus floor plans there are homes here for everyone. From efficiency type units of just 1,000 square feet all the way up to 3,000 square foot homes on the golf course. No matter which home you choose you’ll benefit from all there is for you to enjoy in this great community. You really do have the complete package at Sun City. You essentially don’t have to leave the community for anything except grocery shopping. There are three club houses to serve the multiple golf courses and community. There is even a post office on site . From physical activities to social clubs the choices are endless. The camaraderie and special memories you will make will last a lifetime. The grounds of Sun City are beautifully maintained and feature mountain vistas, Palm lined streets, green belts and water features. Living here year round or seasonally is easy and will simplify your life. Call us today to see your dream of warm weather living come true. This beautiful home is open Saturday from 11am to 3pm October 16th and 12 Noon to 4pm on October 17th.